To discover the beauty of the Loire Valley, climb up to the top of a Loire château, a panoramic viewpoint, a headland or a bridge! They all provide stunning views of everything the river has to offer, with its tributaries and nearby towns. For the most part the Loire châteaux are built on promontories, and are ideal spots for admiring the surroundings from up high. From the Châteaux of Saumur, Montsoreau, Amboise and Chaumont-sur-Loire, you can look down on the emblematic towns of the Loire Valley and the royal river. From the terraces of the Château of Chambord, you can gain a sense of the full extent of this wild area of ​​5,400 hectares. From the top of the Fortress of Chinon, you will be able to admire the Vienne, together with the town of Chinon and, in the distance, its expanses of vineyards. Alternatively, the Château of Angers overlooks the river Maine. Finally, for a magnificent view of the Loire Valley this time, head for the ruins of the Château of Lavardin and admire the pretty village and bridge over the river. In Saint-Florent-le-Vieil, at the top of the belvedere of Mont-Glonne, there is a fantastic view of the Loire and its islands. Other points include the rocky 70-metre-high promontory of Champtoceaux and the villages of Saint-Méen and Thébaudières, near Le Cellier. In Nantes, the Butte Saint-Anne and the esplanade Bruneau overlook the city and its island on the Loire, together with the village of Trentemoult. 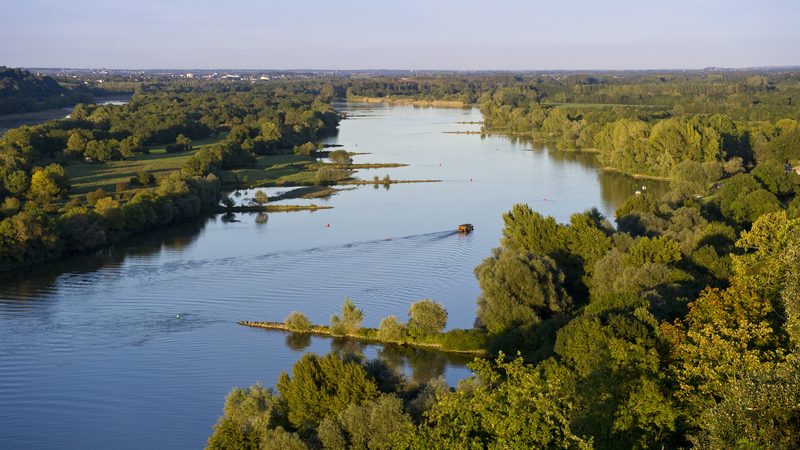 Some sites on the estuary also offer a panoramic view of the Loire, including the Jardin étoilé in Paimboeuf and the Observatory in Lavau. In Saint-Nazaire there are a number of different view points at the top of the panoramic terraces in the submarine base, on the balconies of the eco-museum or on the bridge, a great steel giant. The convergence of the Loire with one of its tributaries is always an impressive sight. In Candes-Saint-Martin there are several viewpoints worth stopping off at, including the bridge over the Vienne, the abbey church and the mill with its orientation table. They offer superb views of the confluence of the Loire and Vienne. 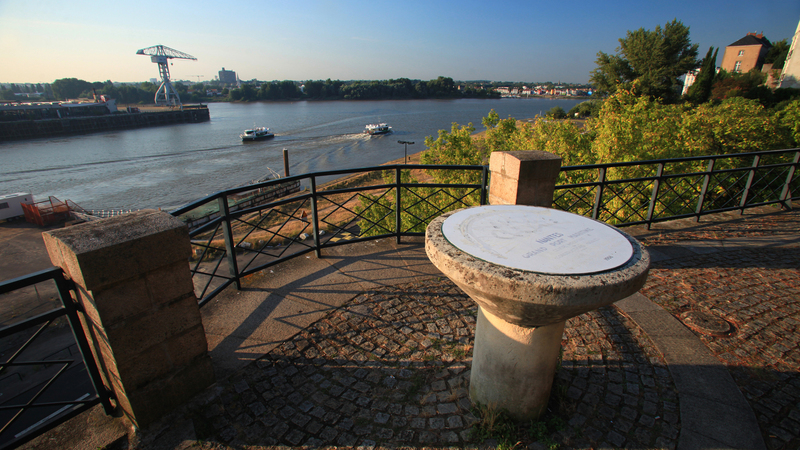 Last but not least, in the village of La Pointe in Bouchemaine, you can stop and admire the point where the Maine joins the Loire. Magical! For even more breathtaking views, why not opt for a ride in the sky in a hot air balloon, glider or microlight?